When mold is growing in your home or business, it is not something that should be overlooked. Not only can mold spores multiply throughout the walls and ceiling, but they can contaminate the indoor air quality. The technicians at 911 Restoration of Miami understand how crucial it is to react quickly to mold situations, which is why they offer property owners free professional mold inspections to speed the process along. The sooner the mold experts can survey the premises, the faster they can begin the mold remediation process. At 911 Restoration, proper mold cleanup includes water extraction and drying services, because water damage and mold typically go hand-in-hand. By implementing structural drying and dehumidifying procedures, the technicians can create an environment that is inhospitable to mold and mildew, preventing future mold infestations. By hiring 911 Restoration of Miami, you can expect to receive IICRC Certified mold remediation services from a licensed, bonded, and insured restoration company. So, call the highly trained technicians to receive mold cleanup in Miami by a team that cares and understands your needs. 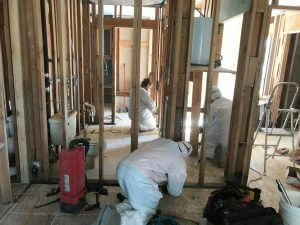 Mold remediation is much more than just cleaning mold from the surfaces of your home or business. A proper mold cleanup includes a full decontamination of the premises, including water damage restoration. Even a small leak under the sink can spark a full-blown mold infestation within a matter of days, which is why it is so essential to maintaining your property throughout the year. However, even the most vigilant property owners can still be affected by water damage and mold, which is why the Miami mold specialists are here to help. They understand the intricacies of conducting thorough mold removal and can be trusted to get rid of every trace of an infestation. By administering prompt restoration services, the technicians will repair plumbing issues, remove water-soaked drywall, mitigate flood damage, and remove mold, all within the same period. These comprehensive services will allow you to live freely in a property that has fresh air and clean surfaces. To get your home or business sanitized after a mold outbreak, call 911 Restoration of Miami today! 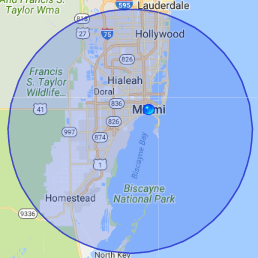 When receiving mold remediation in Miami, it is crucial to hire technicians who understand all the different places mold tends to grow in the area. Most people are unaware of all the hidden places mold an infest, such as inside the pipes of your plumbing system, throughout drywall, inside air ducts, and behind wallpaper. 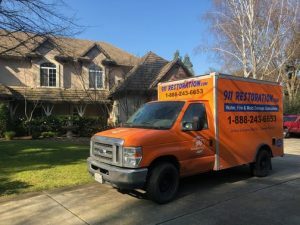 The technicians will inspect every crevasse of the property to completely decontaminate the area and issue mold cleanup services that will leave your property looking sparkling clean. Along with elevating the aesthetics of your property, proper mold remediation will also increase the indoor air quality. When mold spores are present, people can inhale them and, in turn, begin to experience allergies and respiratory issues. 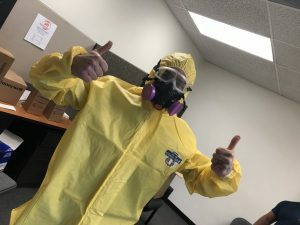 Not all types of mold create health hazards, but to make sure that the fungi in your property is benign, technicians will collect mold samples and send them to a third-party laboratory to be tested by professionals. By testing the mold, we can determine the species of mold growing in your property and take the steps necessary to make your environment as safe as possible. So, call 911 Restoration of Miami to receive your Fresh Start today! Servicing the cities of Alva, Arcadia, Belle Glade, Boca Grande, Boca Raton, Bokeelia, Bonita Springs, Boynton Beach, Cape Coral, Captiva, Chokoloskee, Clewiston, Coconut Creek, Copeland, Coral Gables, Coral Springs, Dania, Deerfield Beach, Delray Beach, El Jobean, Englewood, Estero, Everglades City, Felda, Fort Lauderdale, Fort Myers, Fort Myers Beach, Fort Ogden, Goodland, Hallandale, Hialeah, Hollywood, Homestead, Immokalee, Key Biscayne, Labelle, Laurel, Lehigh Acres, Longboat Key, Marco Island, Margate, Miami, Miami Beach, Miami Gardens, Moore Haven, Murdock, Naples, Nocatee, Nokomis, North Fort Myers, North Miami Beach, North Port, Opa Locka, Osprey, Palmdale, Pembroke Pines, Pineland, Placida, Plantation, Pompano Beach, Port Charlotte, Punta Gorda, Rotonda West, Saint James City, Sanibel, Sarasota, Venice, and the surrounding areas.